K&H members, Lauren Garvey, Chelsea Medek & Allison Toonen-Talamo attended the APT Western Great Lakes Chapter Old Chicago Main Post Office tour, Thursday, October 5th. 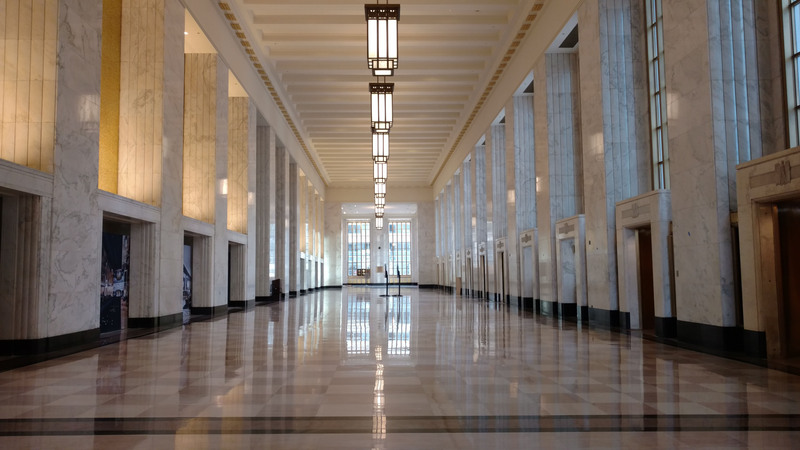 The Old Chicago Main Post Office laid vacant for over 20 years, until recently; the entire facility is not only getting a new face-lift, but a second chance to be a central hub for businesses. APT-WGLC graciously provided a private tour taking tourists around various floors, explaining the history of the building and showcasing the new visions for the spaces. The final stop on the tour was admiring the recently restored main lobby of the Post Office. Visit our Facebook Page to view more photos from the tour!